Every year, biomedical engineers and computer scientists develop new medical technologies. These technologies take many forms, such as advances in durable medical equipment, advances in detection and imaging equipment, and even advances in medical informatics. Although the cost of researching and developing these technologies is reflected in the cost of the equipment or programs, over time, these advances can promote more cost-effective care. Following is a discussion of three ways advanced medical technology is making patient care less expensive. Durable medical equipment is the workhorse of the typical hospital or clinic. The staff use this equipment to help move patients as well as to help patients bathe and rest. Advances in durable medical equipment, such as hospital beds and bathing equipment, can save hospitals and clinics money, which in turn can save insurers and patients money as well. New, more durable and easier to clean designs are developed on a regular basis. More efficient and better-constructed equipment can not only help to prevent injuries for both patients and the staff, but they can last longer, which lowers the cost of replacing them. This in turn lowers the cost of hospital stays and clinic visits overall. In addition to the durable equipment, advances in imaging equipment and diagnostics can not only save money, but save lives as well. The latest advances in imaging provide sharper and more detailed views, which can prevent unnecessary exploratory surgeries and help the physician select the correct treatment the first time. 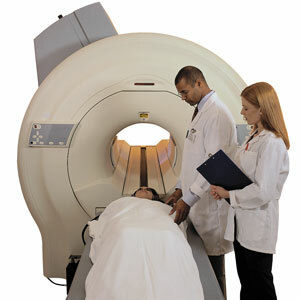 Diseases such as cancer can be detected earlier, which also enables the physician to act faster. Early detection is critical when diagnosing cancer and other life-threatening illnesses. In addition to imaging tests, advances in other diagnostic tests such as DNA technology can speed the diagnosis as well as prevent errors, which can save money by preventing repeat tests as well as help the physician to make treatment decisions more quickly. Finally, the latest breakthroughs in medical informatics have revolutionized the way in which medical offices are run. New electronic filing systems help streamline appointment booking as well as remind office staff and physicians to schedule specific patients for tests and regular check-ups. In addition, these programs store patient health records, which helps to identify patients who are good candidates for clinical trials, analyzes demographic data, and allows physicians to analyze treatment outcomes. Like other uses of technology, physicians and administrators must consider the legal and ethical implications of purchasing new technologies. New advances in medical equipment, testing, and programs can provide better results and save money when they are used correctly, but some pieces of technology may not be worth the cost. Some new technologies can cost hundreds of thousands of dollars, which has to be passed along to the patients and the insurers. Physicians and administrators must consider the benefits of the technology and the long term costs before new technologies are purchased. In the new political environment, the cost of health care is being scrutinized and wasteful spending is being eliminated from medical systems. The cost of purchasing new equipment is a large expense, and hospitals and clinics may find themselves under increasing pressure to justify their purchases. While politics is unlikely to halt research and development, we may see new, more efficient technologies being developed with a focus on cost effectiveness rather than just for the results the technology can provide. Jessica Canfield is a public health researcher from Brooklyn, New York. She hopes you will check out her Resource Guide for Public Health Professionals for more useful information about the ever-evolving field of healthcare. This entry was posted in Medical Informatics, Medical Technology. Bookmark the permalink.